What is the Connection Between Dry Mouth and Diabetes? Proper hydration can help dry mouth. Dry mouth and diabetes can be connected, as poorly controlled diabetes is one potential cause for dry mouth. In addition, having a dry mouth can be a diagnostic clue for a patient with undiagnosed diabetes when it is paired with excessive thirst and frequent urination. Understanding the connection between dry mouth and diabetes is important for diabetes patients, as there are some preventative steps available. Having a dry mouth isn't just uncomfortable; it can also be associated with complications, making it very important to treat. In patients with undiagnosed diabetes, several things can contribute to dry mouth. One is high blood sugar, known to lead to drying of the mucus membranes. 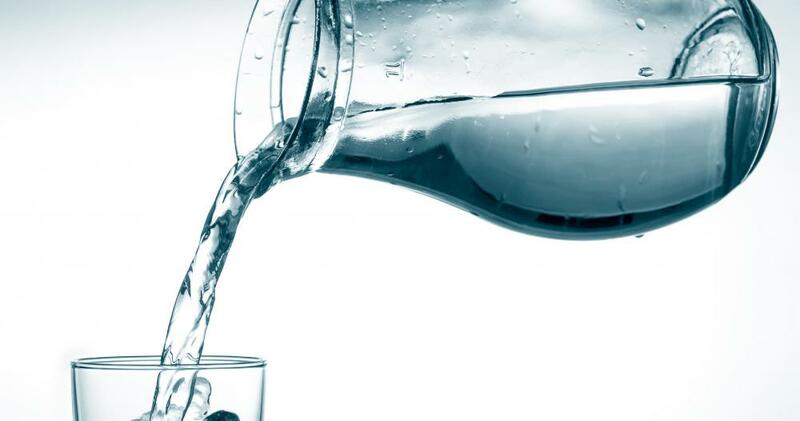 Lack of hydration can also be a contributor, as the body cannot produce saliva without enough hydration. Patients with diabetes that is not well controlled can also experience hyperglycemia and poor hydration, as well as diabetic neuropathy, another potential cause of dry mouth. Neuropathy can impair the function of the salivary glands, leading to dry mouth in the patient. For a patient with dry mouth and diabetes, a visit to the doctor is recommended. The dry mouth indicates that something is not being addressed with current diabetes treatment. The doctor may be able to adjust the treatment plan to resolve the issue and make the patient more comfortable. The dryness can also be a sign of an emerging diabetic complication like neuropathy, in which case early identification is critical to provide the best treatment options. Special oral care may be needed to help a patient with dry mouth and diabetes. Because saliva plays an important role in oral hygiene and digestion, patients must find a way to compensate for the reduced saliva production. Regular oral care is recommended to keep the mouth healthy and clean. Patients may also benefit from chewing sugarfree gum to stimulate saliva production and keep the mouth lubricated and comfortable. Patients with dry mouth and diabetes should also talk to their dentists. A dentist may have suggestions for addressing the dry mouth and will take special care during cleanups and checkups to look for evidence of oral lesions and other problems. The dentist also wants to avoid tearing or otherwise damaging the membranes of the mouth, as they can be more fragile when they are dry, in addition to taking longer to heal. Oral surgeons can also become involved in patient care, as sometimes there are surgical treatment options to restore lubrication to the mouth. How Do I Treat Dry Mouth and Frequent Urination? What is the Relationship Between Stress and Diabetes? What are the Most Common Causes of a Dry Mouth and Tongue? What are the Most Common Causes of Dry Mouth and Sore Throat? What are the Different Types of Dry Mouth Products? @turkay1-- You need to speak with your doctor about your dry mouth. Fatigue is a common symptom of diabetes. Drinking lots of water, dizziness, dry mouth and nausea are common symptoms too, but they should slowly go away with treatment. How old are you? Do you have type one diabetes or type two? For how long do you suspect you had diabetes before you were diagnosed? Neuropathy generally occurs after living with diabetes for fifteen, twenty or thirty years. It's not something that develops suddenly, so if you have had diabetes for a few months, your dry mouth cannot be due to neuropathy. There might be something else going on. Perhaps your blood sugar levels are still too high? You might need to adjust your medication or change your medication, so please see your doctor. It's been three months since I've been diagnosed with diabetes. I have a constant dry mouth and fatigue. Do I have neuropathy? My diabetes is well controlled but I still have chronic dry mouth. I drink about four liters of water per day. In the summer, it's close to five. I'm worried that I'm going to harm my kidneys this way. What is wrong with me? Am I doing something wrong?